Jessie Harrison earned her ninth Ladies Open Title at the 2019 U.S. Steel National Championship held in Covington, Georgia. Harrison competed among 460 other shooters, April 3-6, winning the Overall Single Stack division and Ladies Open Division. Harrison already boasts the title of first female shooter to gain Grand Master status with the U.S. Practical Shooting Association in addition to earning titles across five shooting disciplines. She’s a National and World Champion, earning accolades at the Bianchi Cup and World Speed Shooting Championships. Harrison started her journey in competitive shooting at the age of 15, competing in Cowboy Action Shooting. 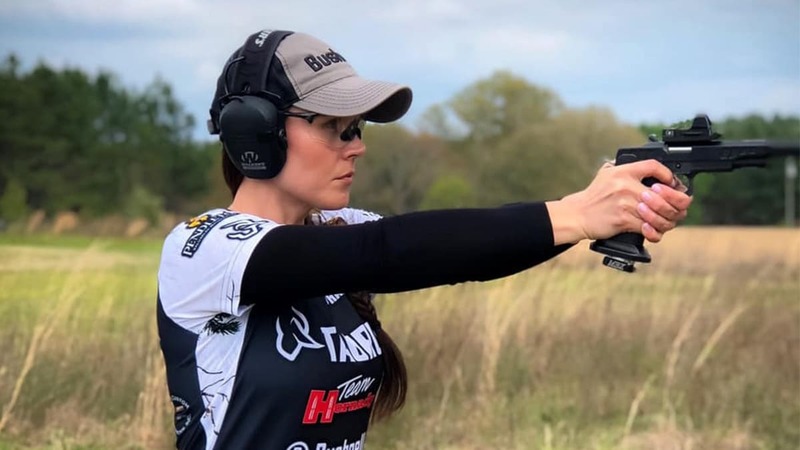 From there she studied multiple shooting disciplines, making her way into USPSA and Steel Challenge, followed by Multi-Gun. Harrison said she was happy to add another title to her name. “Capturing the Ladies Open title this year is exciting,” Harrison commented in a press release. Harrison is currently sponsored by Hornady, Bushnell, Hoppe’s, among others, and competes under the Team Taurus banner.